Living for the Sacrifice: A Hood Hero’s Guide to Success is the first book and feature length documentary by filmmaker/PR guru and sought-after industry “fixer” Trea Davenport. She introduced the world to Detroit rapper, Kash Doll. She’s worked with philanthropist and baller Michael Johnson, Defensive End of the Cincinnati Bengals; America’s Got Talent Finalist Larry Callahan’s Selected of God; authors Akia Brown and Robert Shumake; star of Fox TV’s Empire Bre Z, 2Pac’s Outlawz, BMB Records CEO Brian Maurice Brown, and more. 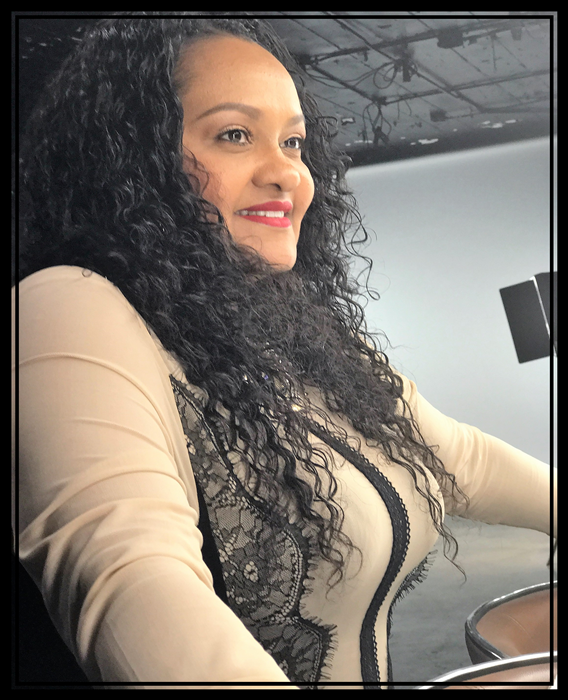 The lion share of the Detroit native’s work encapsulates the entertainment sector, yet her diverse clientele boasts standouts in television, publishing, business, fashion and sports. She is a founding member of the executive team of BMB Entertainment and BMB Records, and partner of BMB Productions, LLC. Her most recent accomplishments include producing and directing the documentary: Living for the Sacrifice: A Hood Hero’s Guide to Success. The compelling film will take the 2018 film festival by storm on the quest for major distribution. Davenport was named “Publicist of the Year” in 2011 and is featured in business journals, blogs, and entertainment magazines. She has taught at Fort Valley State, Wayne State, and Cal State universities and facilitated at MC Lyte’s Hip Hop Sisters Foundation “W.E.A.L.T.H. Experience”.Her PR University Krash Kourse master class, e-Book and PR webinar series at www.pruniversitylife.com, teach advanced PR tactics. She is a loving wife to Miguel N. Chin, mother to three amazing men (Jordan, Dresdan, and Donovan) and one adorable step son, MJ. She raised her talented nephews, Aaron and Andre Starkey, and in 2017 became a proud Glam-ma to her gorgeous grandson, Alaun. She resides bi-coastally in the United States and Jamaica where she lives her life full of love and laughter. Treavion has never marketed her business and believes that the right people and projects somehow find their way to her, and she has no plans of slowing down. She and her husband recently purchased a new home in the Atlanta, GA area where she will launch her very own film production company Trea’s Way to create film, TV, and web content that will inspire, enlighten and entertain.